The International Press Institute (IPI) today called a court’s decision to imprison nine journalists from Turkey’s Cumhuriyet newspaper including IPI Executive Board Member Kadri Gürsel an attack on Turkish democracy and the basic values of free society. Authorities had placed the journalists in police detention on Oct. 31 as part of a mass operation against Cumhuriyet, Turkey’s last major opposition newspaper. 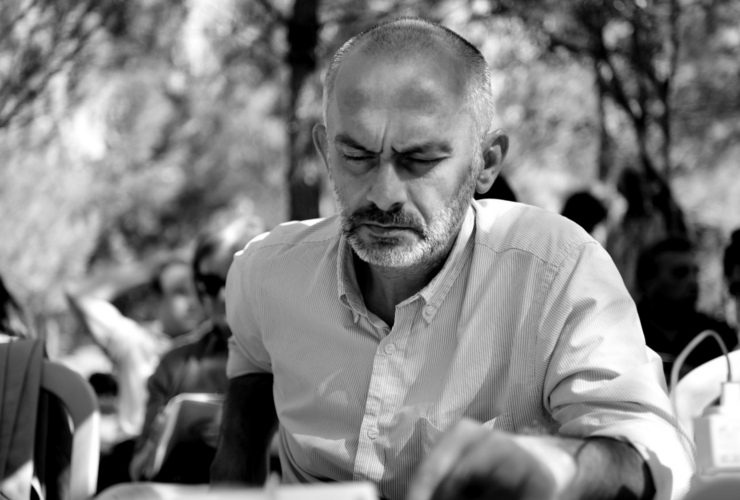 At a hearing on Saturday morning in Istanbul, a judge ordered the group, which also includes Editor-in-Chief Murat Sabuncu and most members of Cumhuriyet’s executive foundation, sent to Silivri Prison west of Istanbul pending trial. Prosecutors have accused the detained journalists of criminal collaboration with an outlawed movement led by the exiled Islamic cleric Fethullah Gülen, whom the Turkish government blames for a failed coup attempt in July, and the Kurdish militant group PKK. IPI Executive Director Barbara Trionfi rejected those assertions as a cynical attempt to cloak the deliberate silencing of one of Turkey’s last independent media outlets. “The one and only reason why these journalists are behind bars today is their critical coverage of the Turkish government, which the authorities have decided they will no longer tolerate,” Trionfi said. “Today’s arrests mark a further shocking attack on Turkish democracy and on the values of free society that Turkey, as a candidate for EU membership, claims to value. Gürsel, a columnist and editorial adviser at Cumhuriyet, is also the chair of IPI’s Turkey National Committee. A widely respected journalist and press freedom advocate, Gürsel had been fired in 2015 from his long-time position at the newspaper Milliyet for a tweet critical of Turkish President Recep Tayyip Erdoğan. In 1995, Gürsel was captured by the PKK while reporting on Turkish operations in northern Iraq and held captive for 26 days. 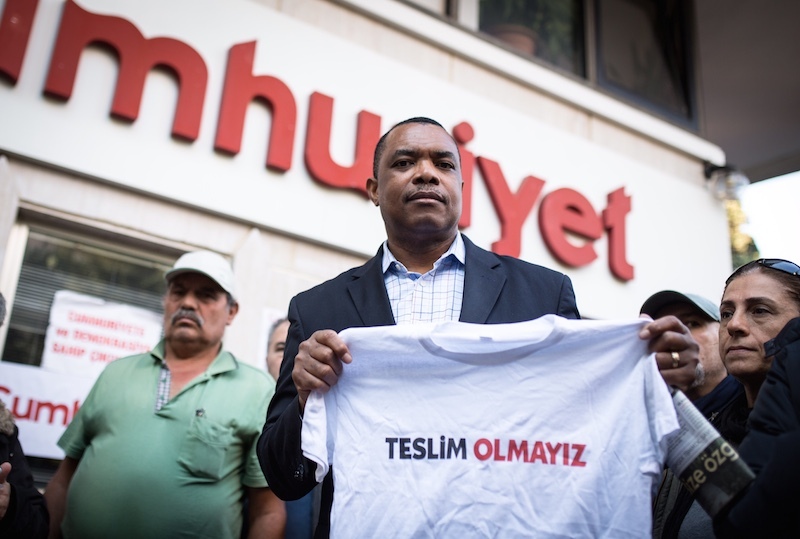 IPI Executive Board Chair John Yearwood travelled to Istanbul on Thursday to show solidarity with Cumhuriyet. Yearwood also met with Gürsel’s wife and representatives of IPI’s Turkey National Committee. Earlier this week 14 leading international press freedom groups issued a joint call for the release of the Cumhuriyet journalists and slammed Turkey’s closure of 15 pro-Kurdish media outlets on Oct. 29.